I had such a great time and enjoyed every relaxing minute. It’s been a while since I’ve blogged, but I have a ton of photos to share of the trip and of the yummy gluten free places I ate. I’ll start from the very first day of the trip. 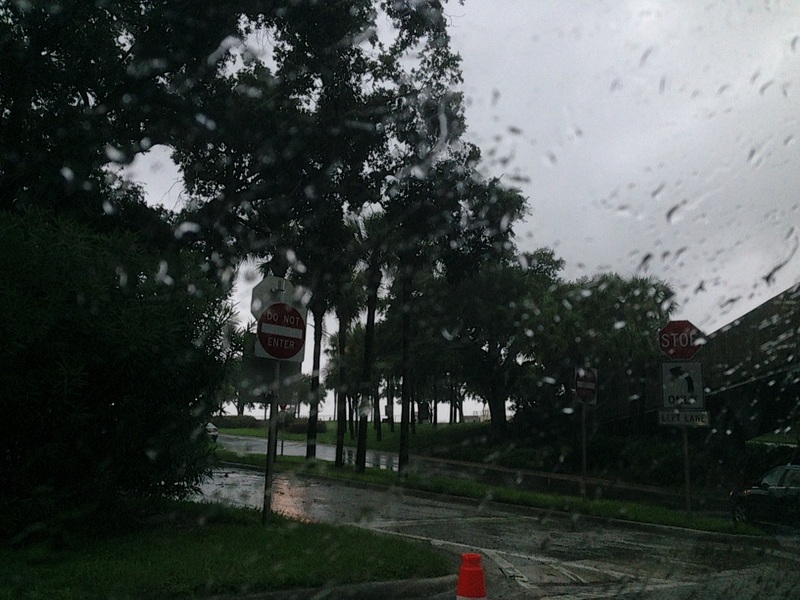 On Saturday morning we arrived in Tampa, but just barely! There were tons of storms in the area and we were literally the last flight to land before there were delays due to torrential downpours. I was so glad we made it. 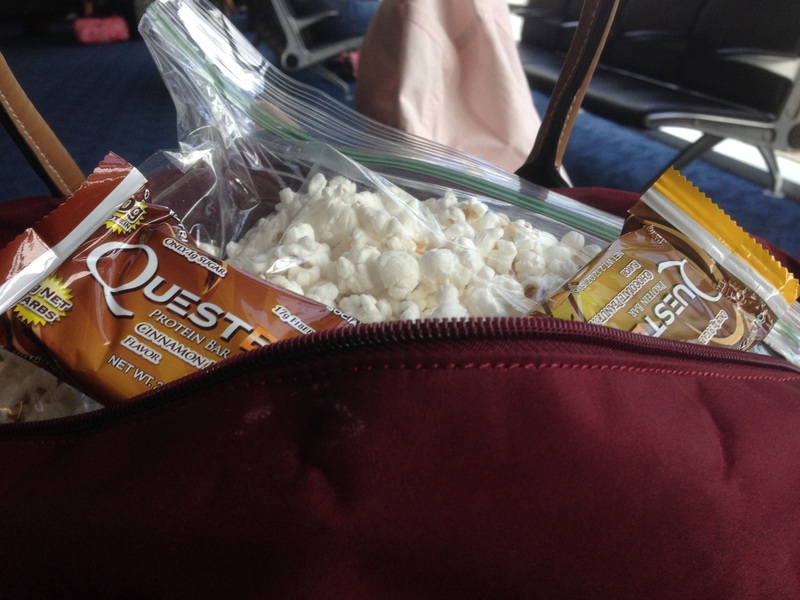 I packed some gluten free snacks for the flight: Quest bars and homemade stovetop popcorn. The flight ended up being longer because of the rain so I was glad I had snacks! Once we landed, it was about an hour drive south to Sarasota. 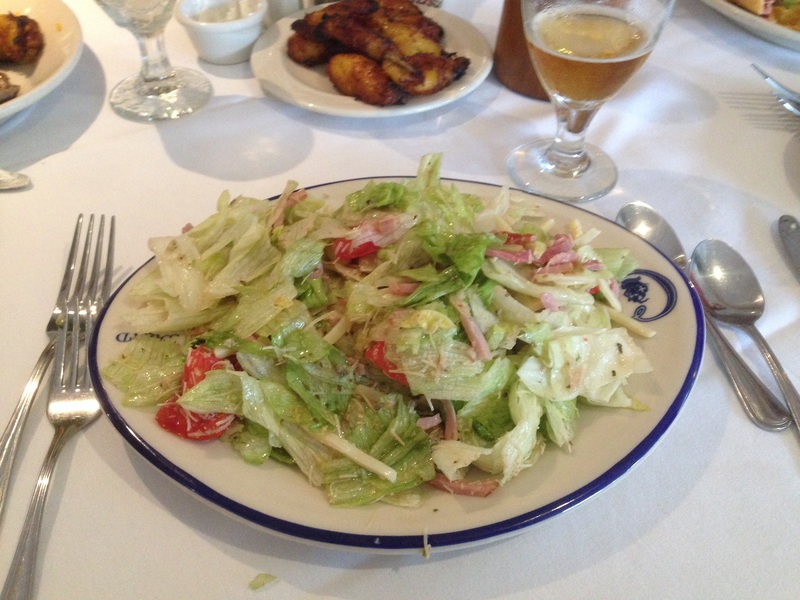 We always stop first thing to grab something to eat at our favorite Cuban restaurant, The Columbia. They have a huge gluten free menu and everything is delicious! I wasn’t super hungry so I had a cup of soup and a salad. 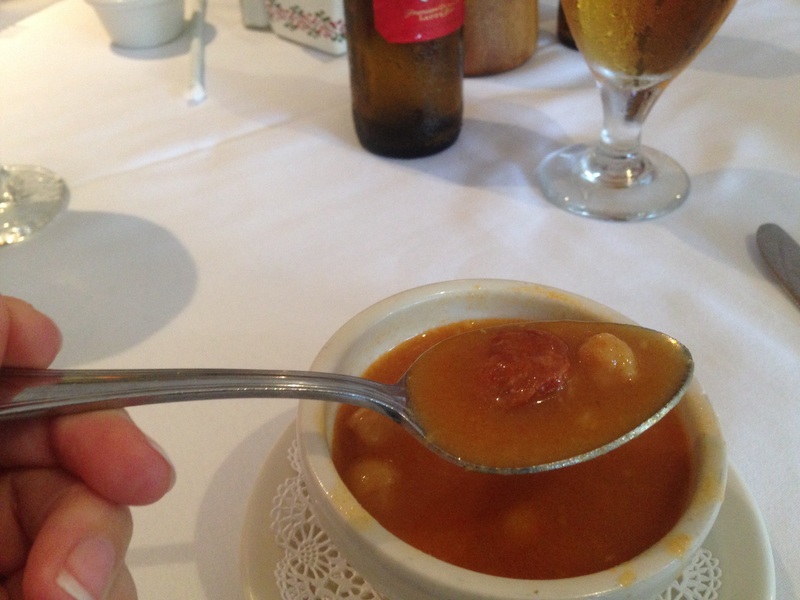 The Spanish Bean Soup has garbanzo beans, chorizo, onions, and a yummy broth. I had the 1905 Salad, which has the most amazing garlicky dressing. It also has bits of ham and cheese which make it a nice filling dinner salad. 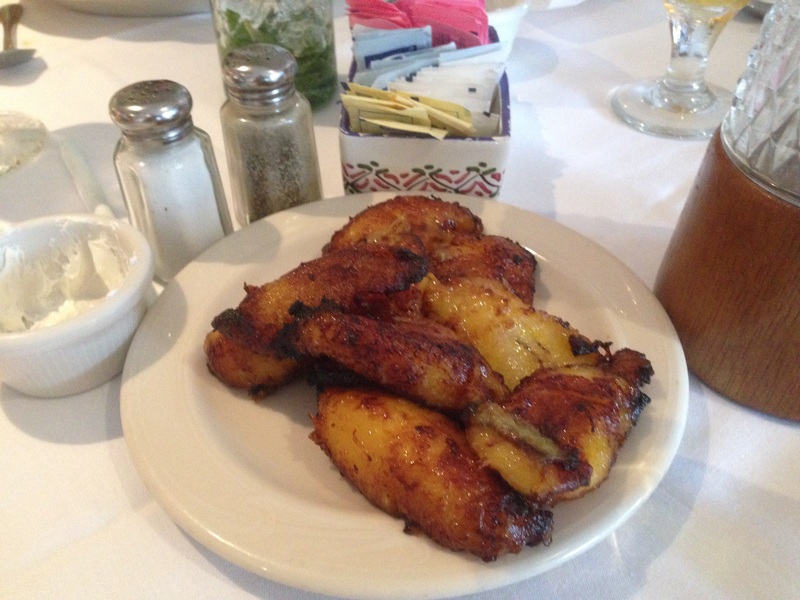 Have you ever had plantains? If not, go get some right now! It’s like dessert! Plantains are similar to bananas but need to be cooked before eaten. When cooked in a skillet they get this lovely crispy, sugary crust on the outside. I shared a side plate with my mom. After dinner, we headed to the grocery store to pick up food for the week and headed back to our condo rental and got some much needed rest! More trip recaps to come! Next postGluten Free in Florida: Running, Reading, and Vertoris Pizza!